Whether you are pregnant or looking for a natural solution to problematic skin, tea tree oil is a great option. Since I am pregnant, I have to stay away from a lot of ingredients that can be harmful, such as salicylic acid. 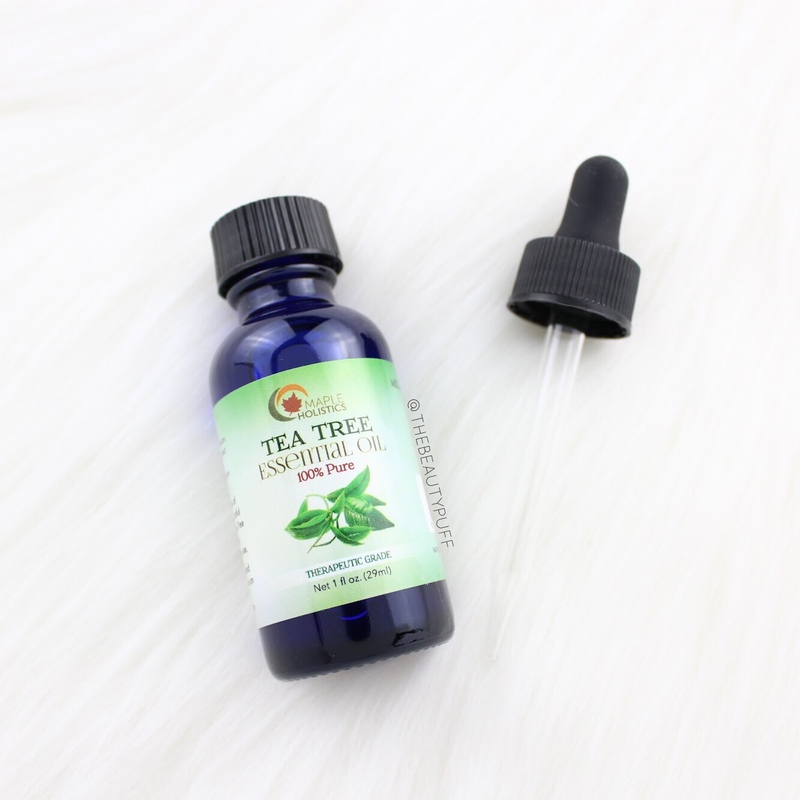 When I looked into more natural solutions that are safe, tea tree oil really stood out! My tea tree oil is from Maple Holistics - a company that specializes in organic and natural beauty products for your hair and skin. This oil can be used as a moisturizer, hair oil, scalp treatment and blemish treatment. My favorite way touse it is as a spot treatment to deal with pesky blemishes that have popped up during pregnancy. While I have to say, tea tree oil does not have my favorite scent, it does dissipate and leaves my skin much clearer than with typical treatments. I also don't have to worry about putting unnecessary chemicals on my skin and wondering what ingredients may or may not be safe. The Maple Holistics Tea Tree Oil features 100% pure tea tree essential oil. Since tea tree oil kills bacteria, it's great at targeting troublesome areas and reducing redness. Whenever I've noticed a blemish, I just use one drop of oil and massage it on the affected area. When I do this in the morning, I notice a 80-90% improvement in redness by the end of the day. So not only is this method effective, it's also a lot more efficient than standard treatments I bought years ago for my skin. Now I'm hooked! Whether you want to explore essential oils or products that incorporates these key ingredients, Maple Holistics has a great range to address almost any hair or skin type. Shop below to explore their entire line!